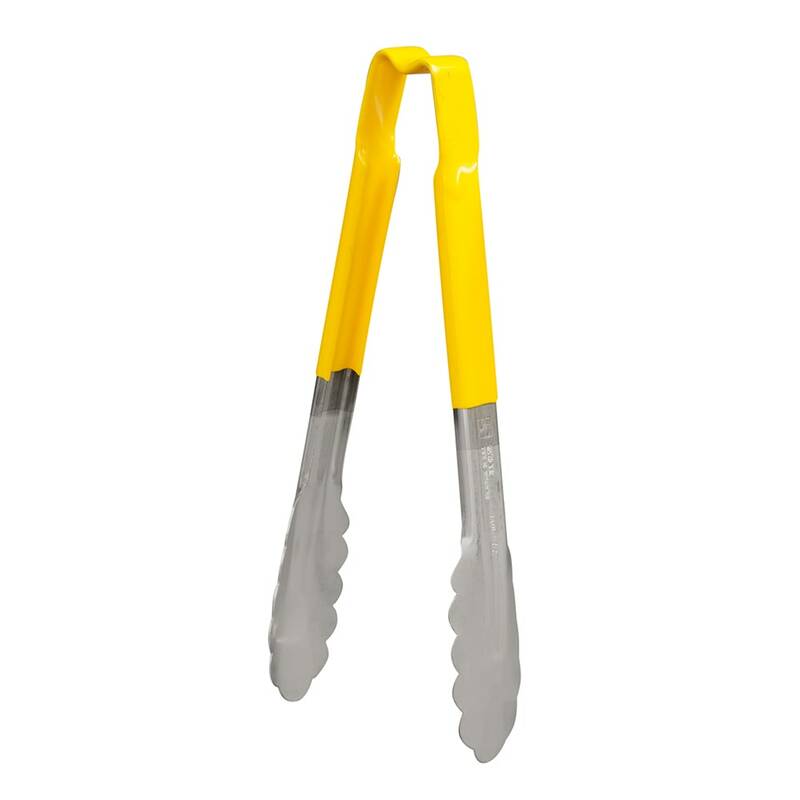 The Vollrath 4780950 utility tongs can be used in areas where it is susceptible to heat no greater than 180 degrees Fahrenheit. Since the handle is coated in plastic, it prevents burns; the yellow material is great for color coding buffets and serving areas. The scalloped edges easily pick up small product. 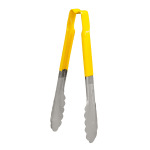 The tongs are resistant to corrosion, dents, and stains since they are made of stainless steel.